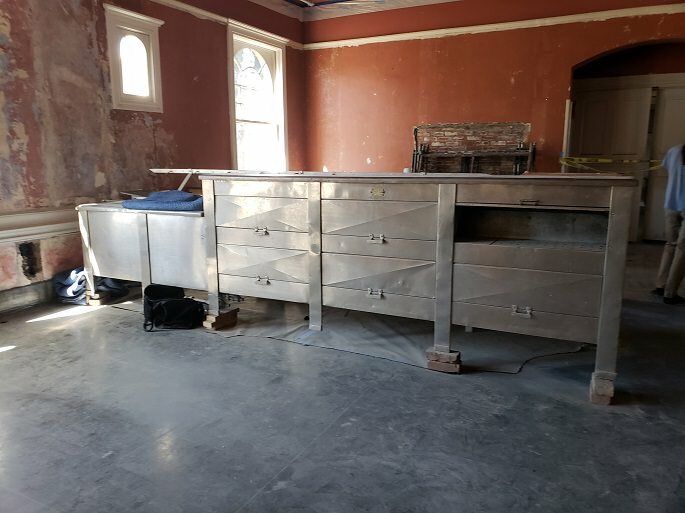 On 9/15/18, we toured the Las Vegas, NM, Harvey House. This Harvey House is currently a restoration project, and will become a hotel, bar, and restaurant, much like the original Harvey Houses. 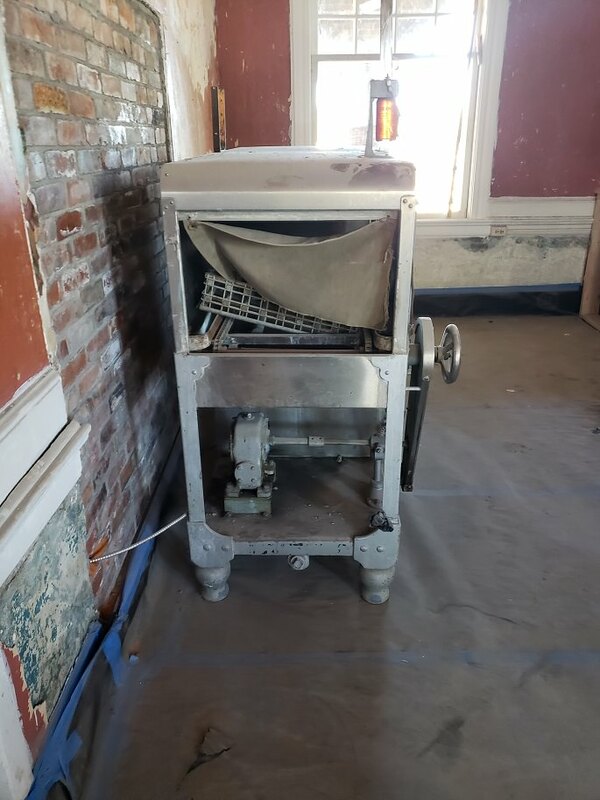 This week, I want to focus on the kitchen appliances that were left in the Harvey House. 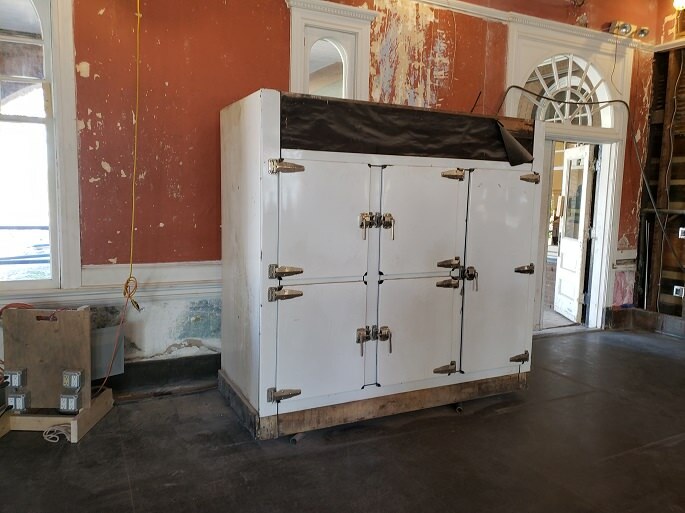 They were originally in the kitchen, but had been moved to the ball room during renovation. 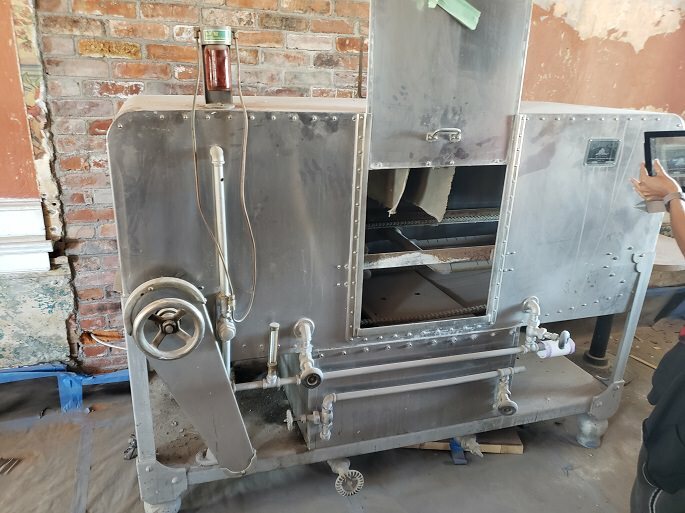 First, there was the industrial scale ovens. 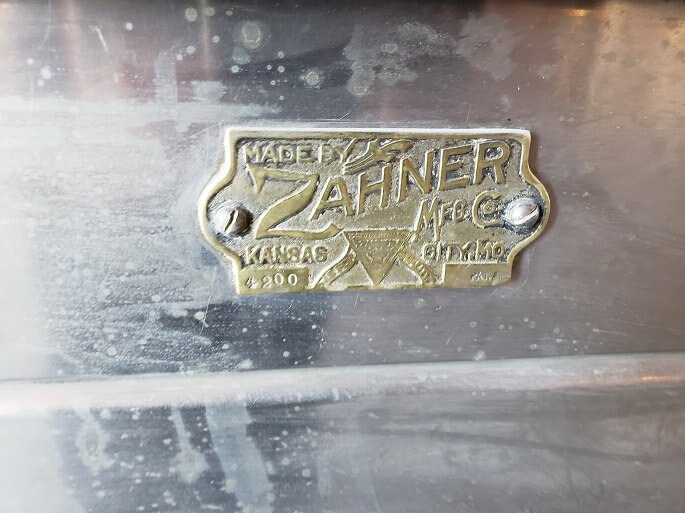 I looked up Zahner, and they are still in business in Kansas City, MO. 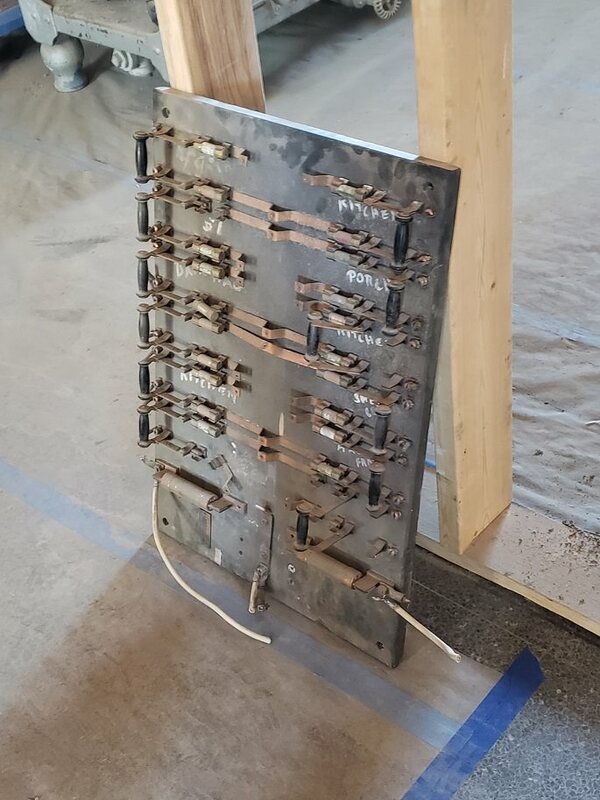 They have drifted out of the sheet metal business (as was used in this oven), and into the architectural business, which seems to be going well for them. Then, there was the old refrigerator. It is a fridge, and there is hookups for a pump and condenser on the back. 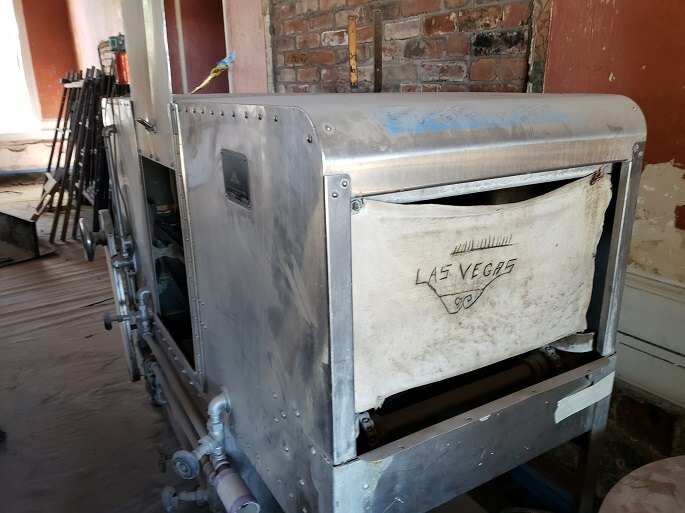 There was also an old dish washer. I really liked this piece. 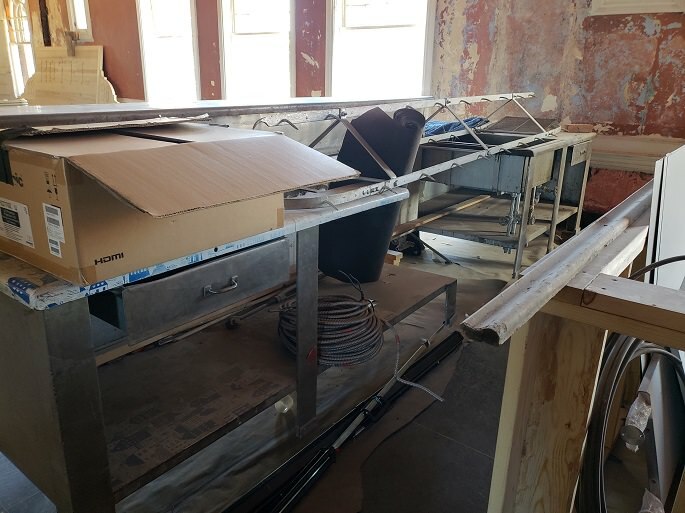 Dishes were loaded into trays and the trays pulled along a conveyor. Once inside the dishwasher, jets of water and soap were sprayed on them. You can see the soap dispenser on the side of this dishwasher. 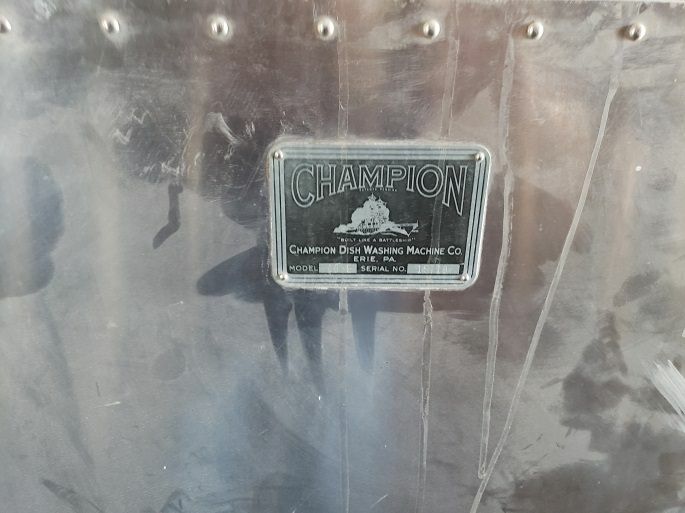 Champion Industries is still in business as well, still making industrial kitchen dishwashers. Thank you for reading my post. The Las Vegas, NM, Harvey Houses will be a multiple part series.